MOSCOW, Mar 19 (PRIME) -- Moscow’s new light car sales rose 8.7% on the year to 30,509 cars in January-February, the city’s economic policy and development department quoted its head Vladimir Yefimov on Monday as saying. In 2017, the sales increased 2.1%. 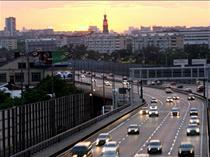 According to the Federal Authority for Road Traffic Safety, 2016 was the first year of recovery growth of 12.3% in the sector in Moscow. All-Russia car sales first demonstrated an advance following five years of decline in 2017. Medium-price cars such as Kia Rio, Hyundai Solaris, Volkswagen Polo, Hyundai Creta and Skoda Octavia are the best-selling models in Moscow whereas all Russian regions’ sales are still headed by AvtoVAZ. Yefimov said that Moscow was one of the first regions to recover from the economic crisis.